WASHINGTON--(BUSINESS WIRE)--AUSA – AeroVironment, Inc. (NASDAQ: AVAV), a leader in unmanned aircraft systems (UAS) and tactical missile systems (TMS), today announced a new strategic relationship with General Dynamics Land Systems (GD), the leader in ground combat vehicles, to produce highly integrated and effective tactical UAS and TMS for armored ground combat vehicles. 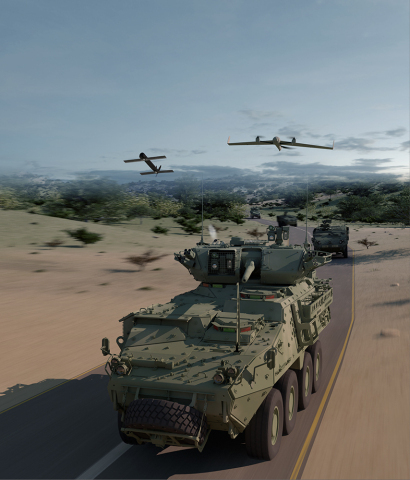 AeroVironment and GD’s collaborative projects will address the upcoming U.S. Army Next Generation Combat Vehicle (NGCV) and U.S. Marine Corps (USMC) Armored Reconnaissance Vehicle (ARV) programs. The NGCV program will dramatically benefit from automated drone scout and precision loitering missile engagement technology tightly coupled into the GD armored vehicle electronic architecture to rapidly geolocate and, if necessary, finish targets. The ARV project has evolved well beyond a straightforward replacement for the Light Armored Vehicle (LAV) into a networked family of manned vehicles, ground robots, and drones, collectively capable of not only reconnaissance but also electronic warfare and long-range precision strikes. The vehicle is designed to launch a drone, scout deep, and then deploy precision fire and electronic warfare. It also will have an open architecture design that is upgraded with new technologies as they become available. 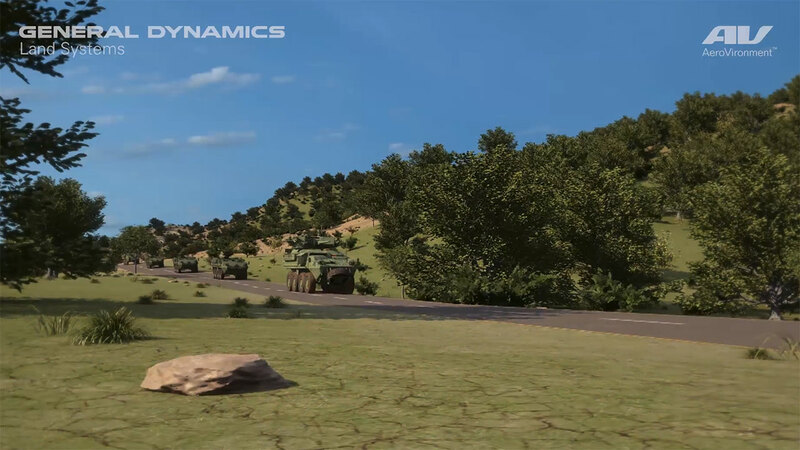 General Dynamics Land Systems is part of GD’s Combat Systems. Land Systems is a global leader in designing, manufacturing and integrating world-class ground combat vehicles and capabilities. Our facilities around the world produce wheeled and tracked combat vehicles, including the Stryker family of vehicles and the Abrams main battle tank. The Combat Systems portfolio is supported by a broad range of high-performance weapons systems and munitions. More information about General Dynamics Land Systems is available at www.gdls.com.